The W by Worth faux shearling is the real deal! 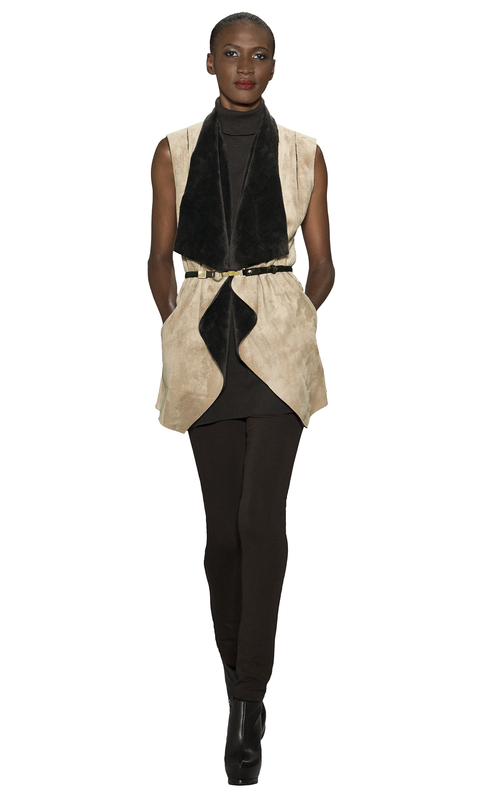 This Pale Honey Faux Shearling Shawl Collar Sleeveless Jacket is comfortably luxurious at a fraction of the cost of other runway looks. It’s oh-so soft and can be thrown over everything. Pair with our java roast ponte abbey legging, a seamed slim skirt or your favorite jeans. Wear a tank or sleeveless top under it for a bohemian casual look. 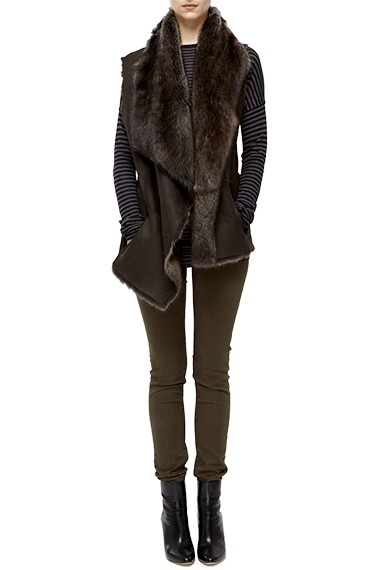 (the blaze color pays this shearling great compliments). Or pair with our skinny turtleneck tee and belt it for a chic sophisticated appearance. Compare our look of $348 to Vince (below) at $1550. No need to be sheepish with that price point.